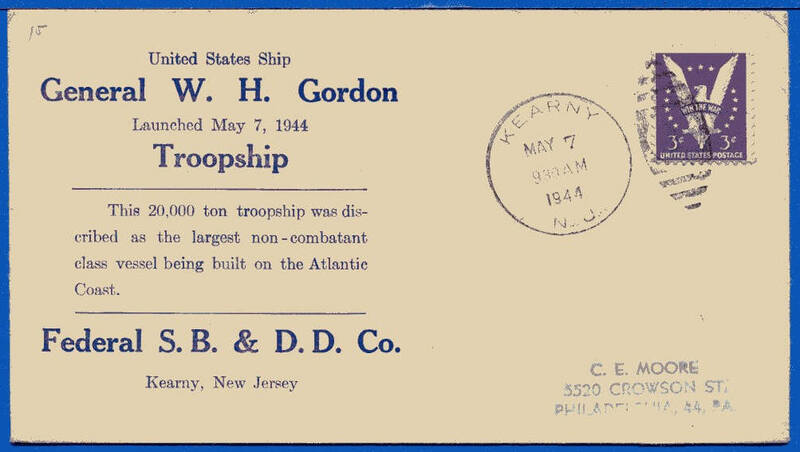 Second cancel is her arrival at Casco Maine after transiting panama Canal after the war. Added Jan. 2011. 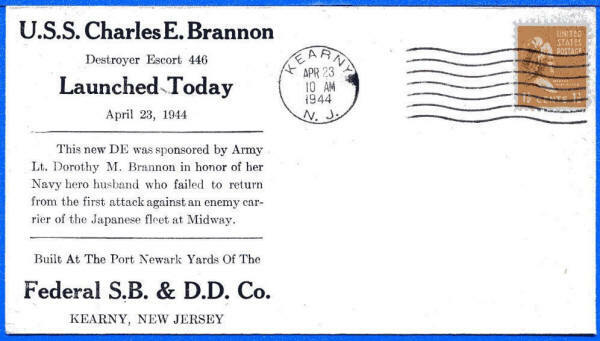 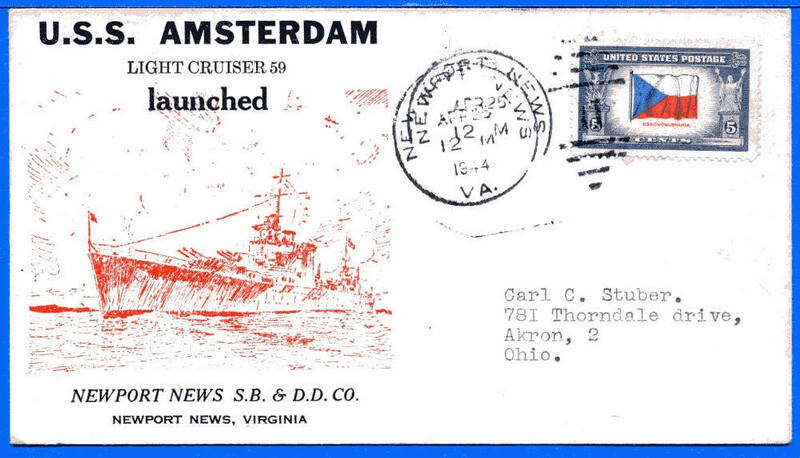 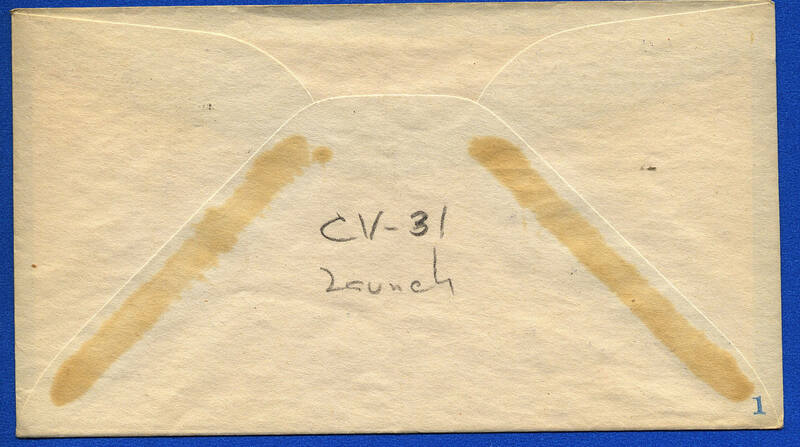 Rich Hoffner sent us this scan of a very interesting WWII cover with dual cancels. One from 1944 and then 1946. 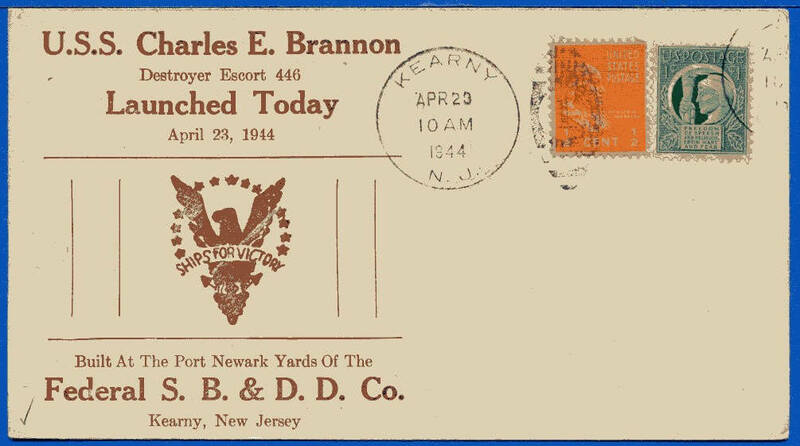 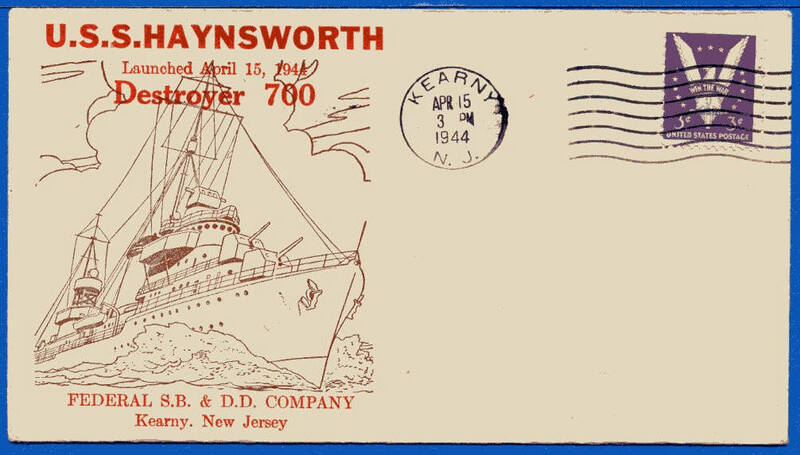 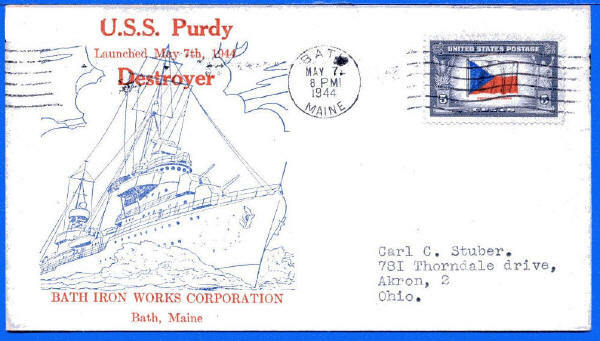 Rich reports that the second cancel marks the ships arrival at Casco, Maine after transiting the Panama Canal after WWII. 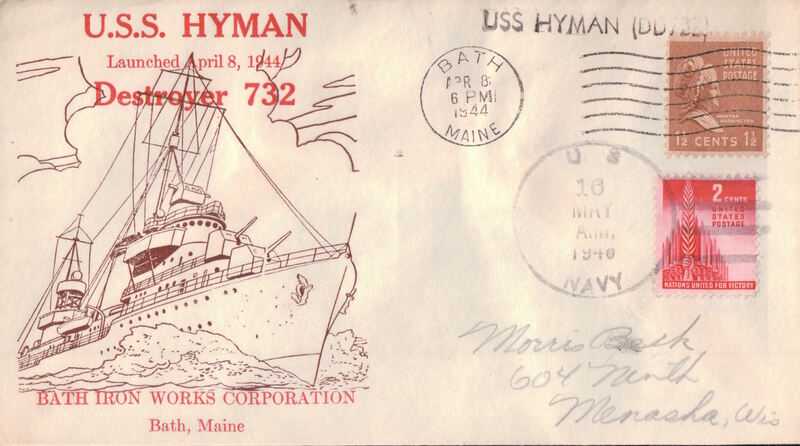 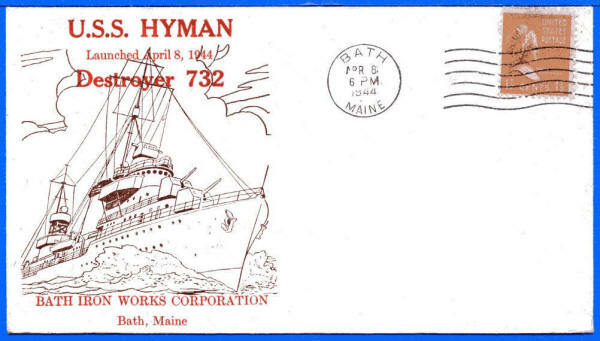 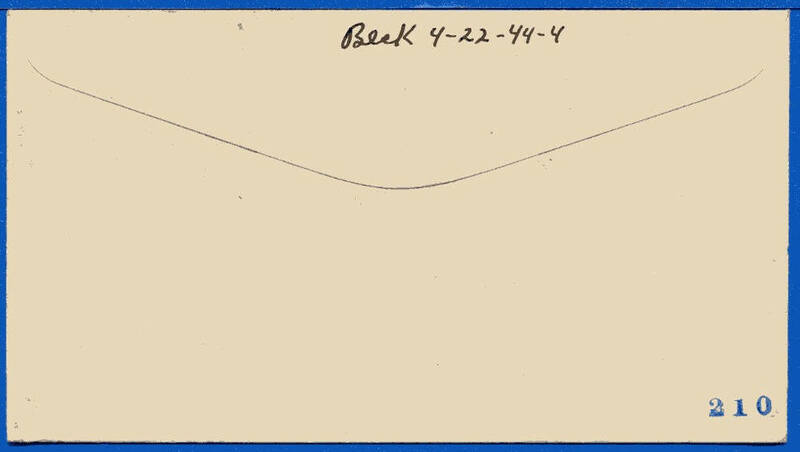 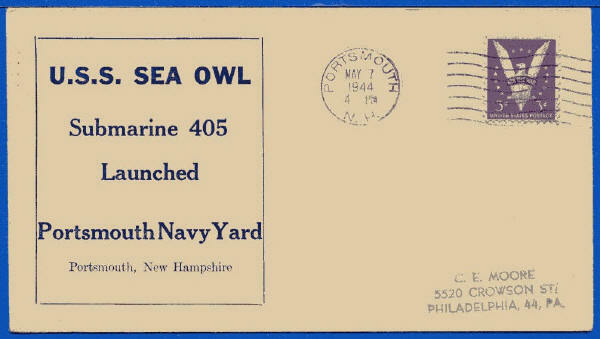 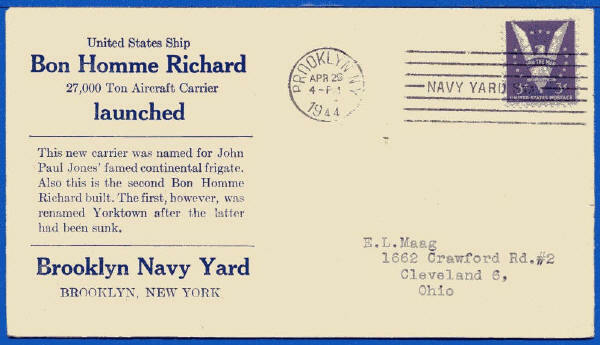 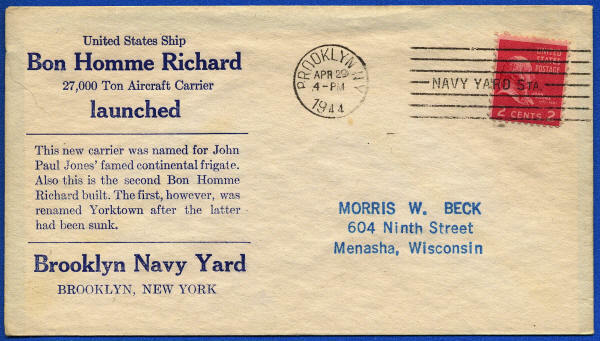 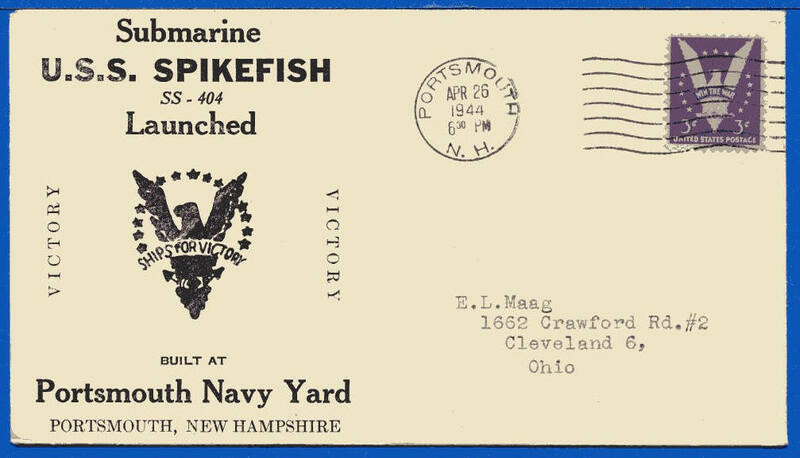 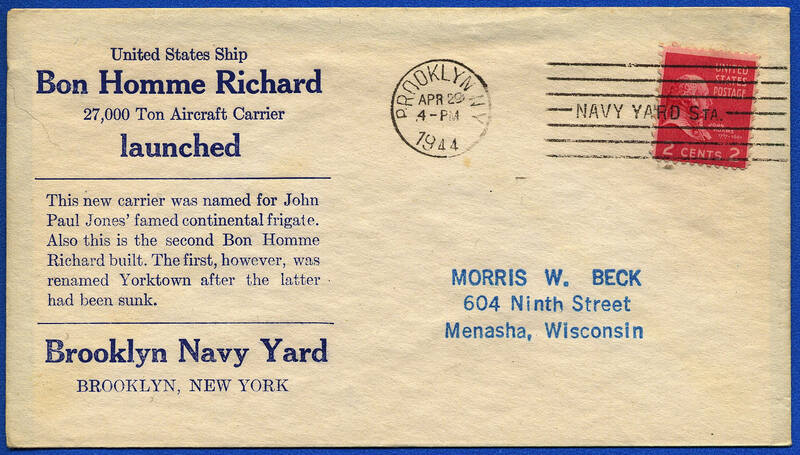 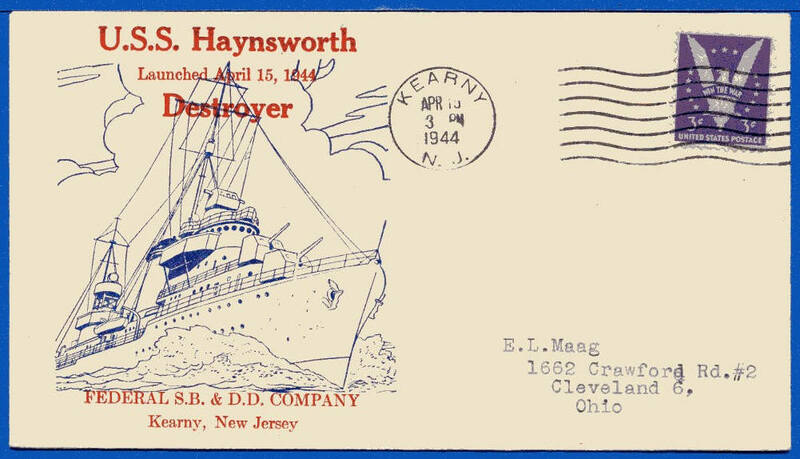 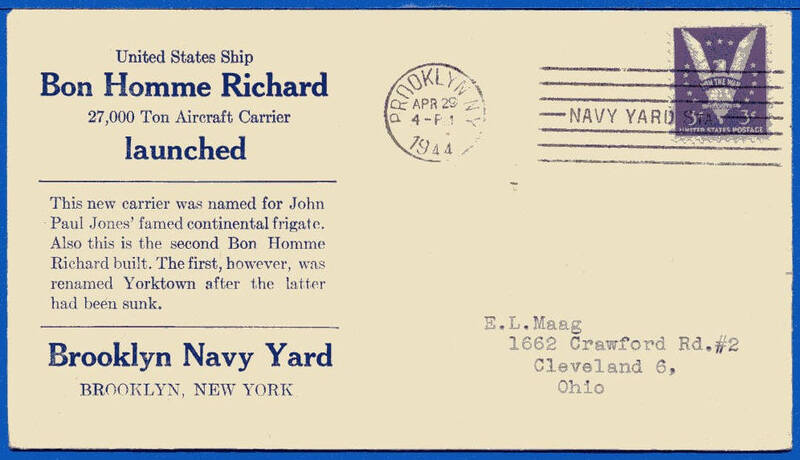 The cover bears Mr. Beck's hand written address and we know that Mr. Beck was in the Navy so perhaps he knew someone or himself was on the Hyman at that time. 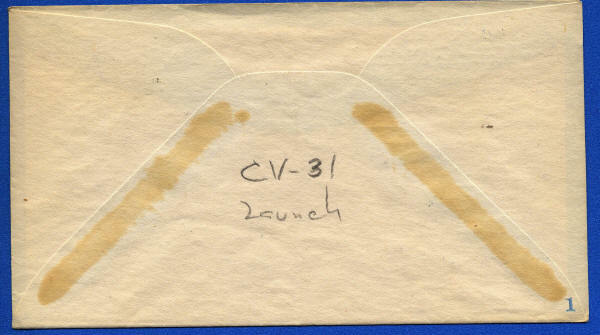 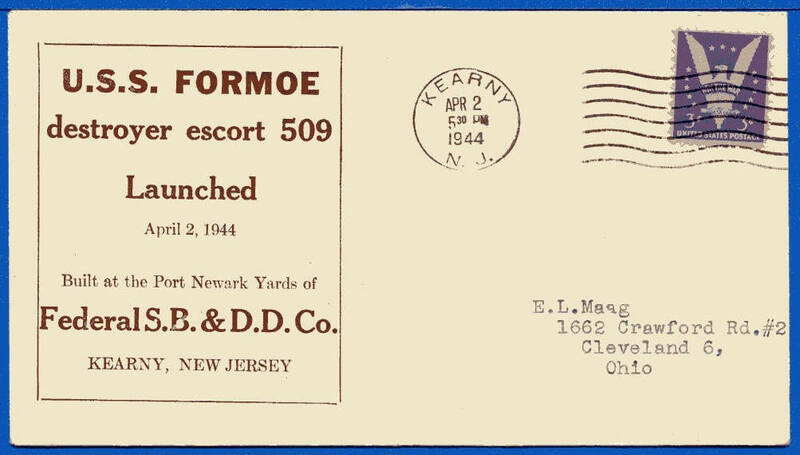 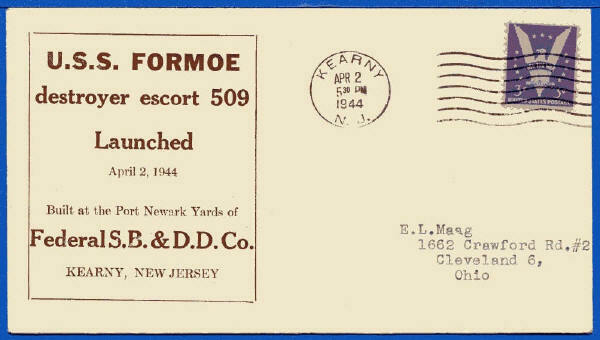 Note the small #1 on the reverse of this cover addressed to Morris W Beck. 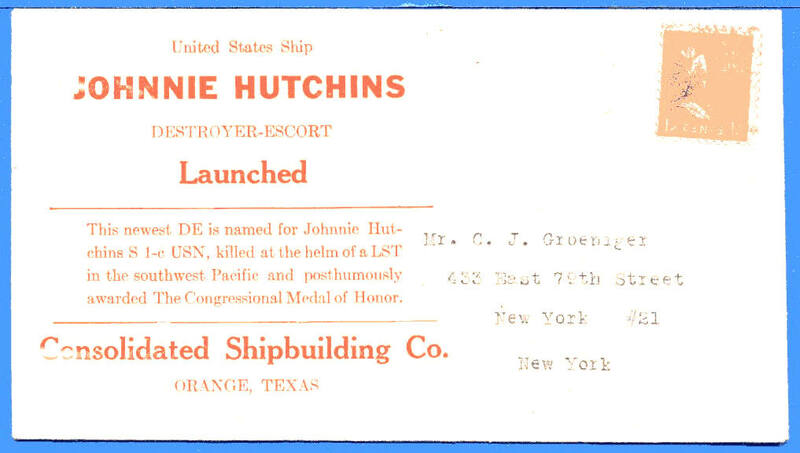 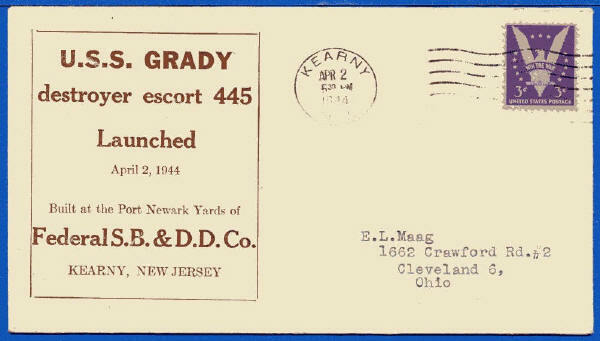 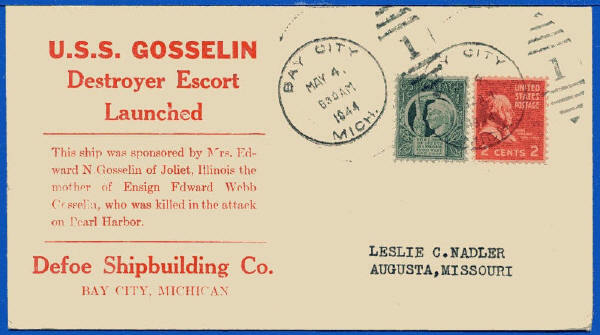 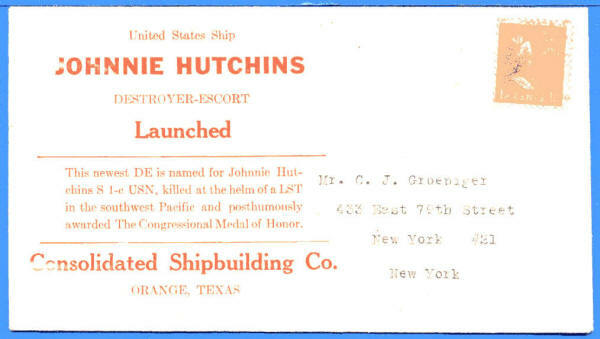 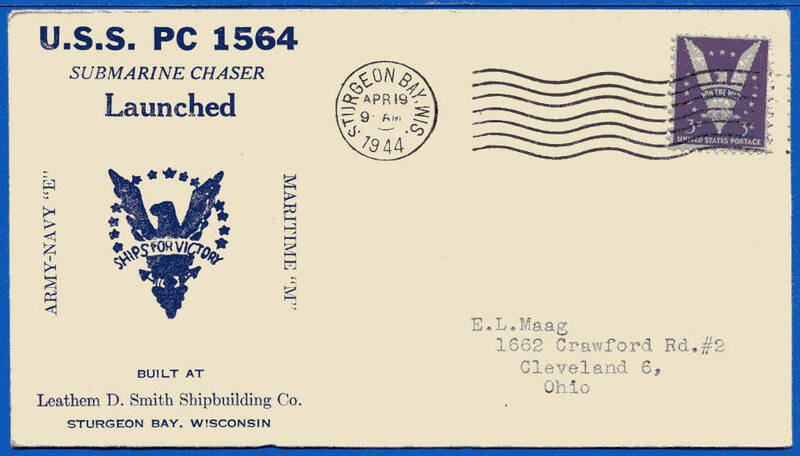 USS Gosselin-Reverse Marking-corner number. See below. Reverse of Gosselin cover. 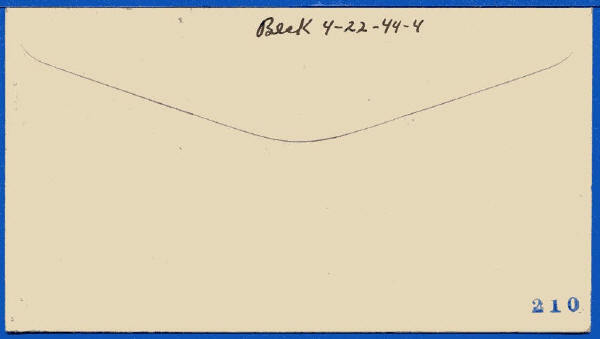 Beck's handwriting.